Forest fires have increased at an alarming rate in many central provinces, where temperatures have soared as high as 47 Celsius degrees, reported local forest management agencies, which are on high alert to minimize forest fires that may occur at any time. In Hamlet 2, Son Trach Commune, which borders the Phong Nha-Ke Bang National Park in Quang Binh Province, a forest fire broke out three days ago due to carelessness of locals who burnt the vegetation cover there. Not until the following morning could the fire be put out, leaving serious damage to three hectares of forest. Two other fires also occurred July 7 in nearby Hung Trach Commune, damaging more than two hectares of forest. In a report to the provincial People’s Committee, Quang Trach District authorities said 26 fires have recently occurred, destroying 26 hectares of forest. In Hue City, two hectares of forest in Truong An Ward caught fire on July 7 due to recklessness of some locals who carelessly allowed beehives to ignite while they were smoking bees out. In Da Nang City’s Lien Chieu District, more than 100 locals were mobilized to put out a serious fire that claimed nearly 4 hectares of special use forest. In May alone, 11 forest fires broke out in the city, destroying 49 hectares of forest. Le Van Han, head of the Quang Ngai Province Forest Control Sub-department, reported that 18 fires have occurred in the past six months, damaging 16 hectares of forest. Compared to the same period last year, fire cases increased by 14, he said. Two people were killed and one was seriously injured while fighting the fire, he added. Currently, 104 provincial locations are vulnerable to forest fires during this ongoing heat wave, he warned. 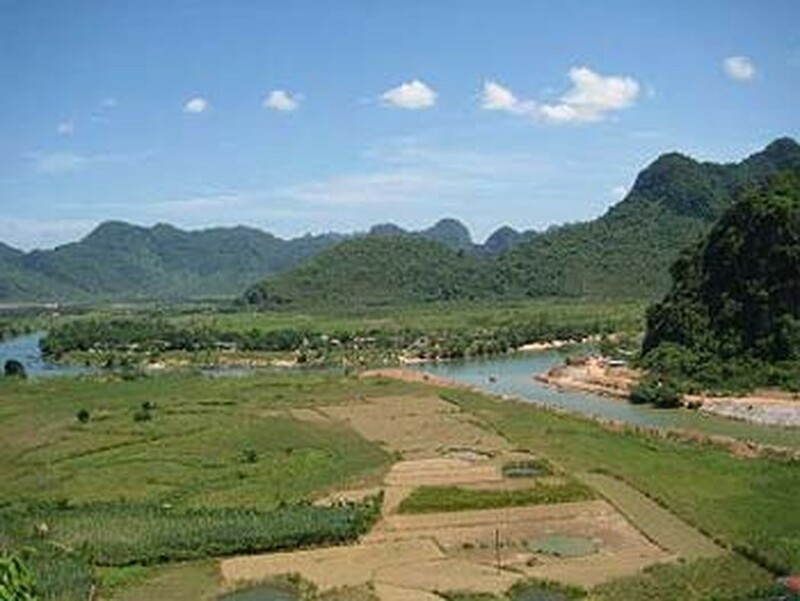 In Ha Tinh, standing deputy chairman of the provincial People’s Committee, Tran Minh Ky, issued an urgent dispatch announcing a state of emergency concerning the danger presented by the increased likelihood of forest fires. In the document, he ordered all local agencies and authorities concerned to immediately mobilize all possible resources and manpower to safeguard forests round the clock. 120 forest rangers of 12 stations of the unit have been operating 24 hours a day with extreme vigilance to keep forests safe, he said. In Binh Dinh Province, the local Forest Management Sub-department has set up many teams comprising thousands of people in 11 districts to safeguard forests. Many necessary facilities have been arranged at sites prone to fire, the department said. 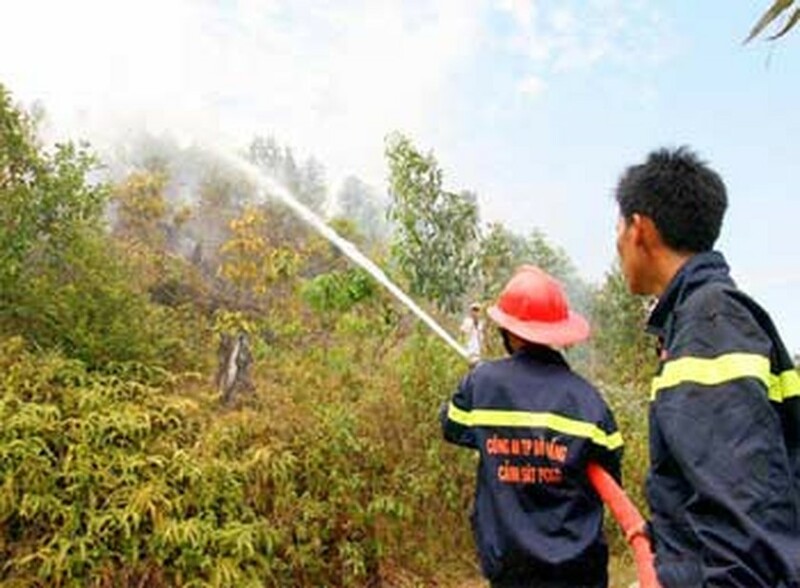 Meanwhile, Quang Nam Province is facing a lack of manpower for fire protection, said the provincial authorities. The province now manages 667.000 hectares of forest but has only 374 official rangers. Regulations require a ranger for every 1,000 hectares; the province is short 174 rangers. 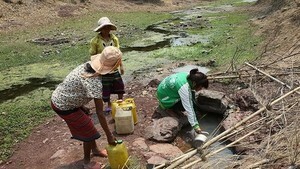 Due to insufficient manpower, the province has found it hard to prevent forest fires, authorities said. In Da Nang City, there are 55,000 hectares of forest, but only 10 wind machines and 130 forest wardens. As a result, whenever a fire occurs, it often spreads severely before being put out, said local authorities.